While our girls had an invitation for a fun day and evening away with family, Jason took a vacation day from work. We enjoyed an ENTIRE DAY date!! So refreshing and wonderful!! We went to the movies at 11:30am on a weekday (I was nearly pinching myself!) to see Guardians of the Galaxy. We followed the flick with a yummy lunch at the lake, and a relaxing evening at home just soaking up "couple time"! 2. A FULL 17-Day Trip Report is Now Up! Jason has officially published our Disney World Family Vacation Day 17 video, completing the series of our last trip to the World!!! He did such a fantastic job with it! I thought this last vid would be a sad one, but my hubby worked his magic and created a truly beautiful video that had happy tears pouring down my face! If you haven't already, I hope you'll stop by Eat, Sleep, Dis, Repeat and check it out! I want to thank all of you who have left such sweet comments for us there, and have clicked that "thumbs up" letting us know you enjoyed the vids! It has made it all the more fun to share! 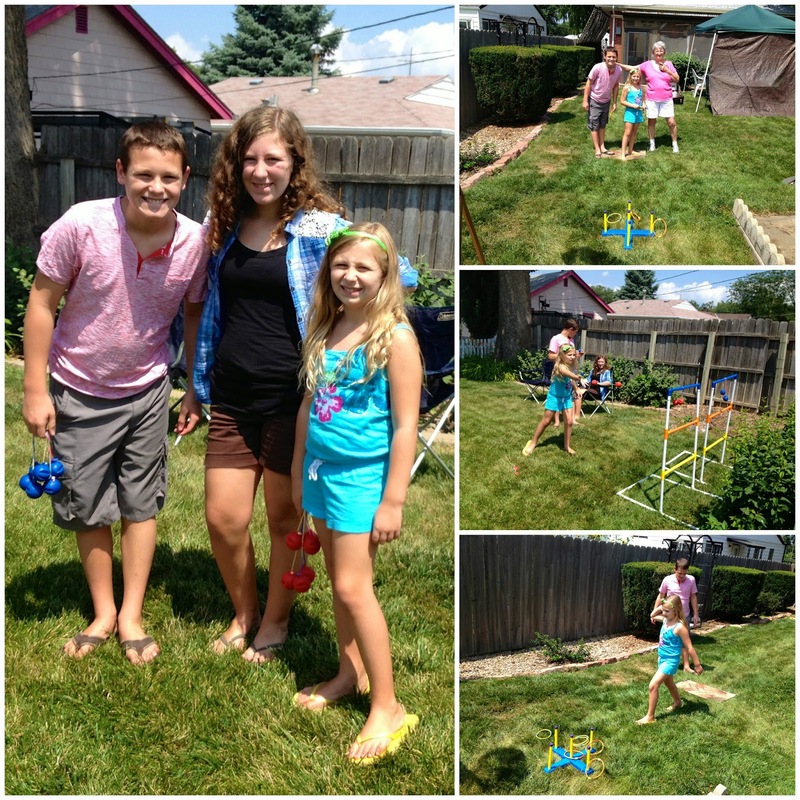 My nephew and my girlies, the kiddos posing with their Great Aunt, fun with ladder ball, and ring toss time! 4. 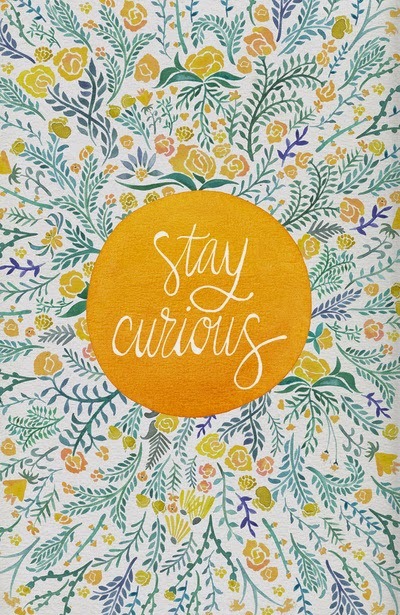 Curiosity is a beautiful thing! Princess has been enjoying helping her Grandma Kathy at her in-home daycare a few hours a day this summer, leaving Little One and I some precious "just the two of us" time. 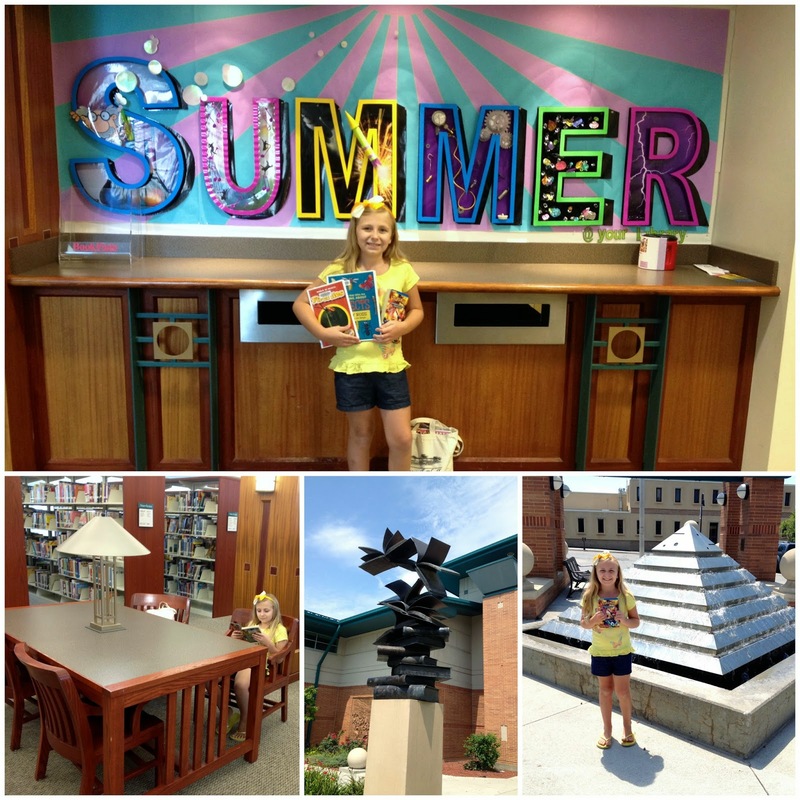 She requested we spend some of that time at our fabulous local library. She always goes with a theme in mind that she's curious to learn more about. I adore her curiosity and hunger for learning! This week while Jason was mowing, he spotted a wildflower growing in our yard that was Little One's favorite color and all! She was delighted and decided she'd like to "keep it" (as some neighbor boys have been known to pick our flowers). 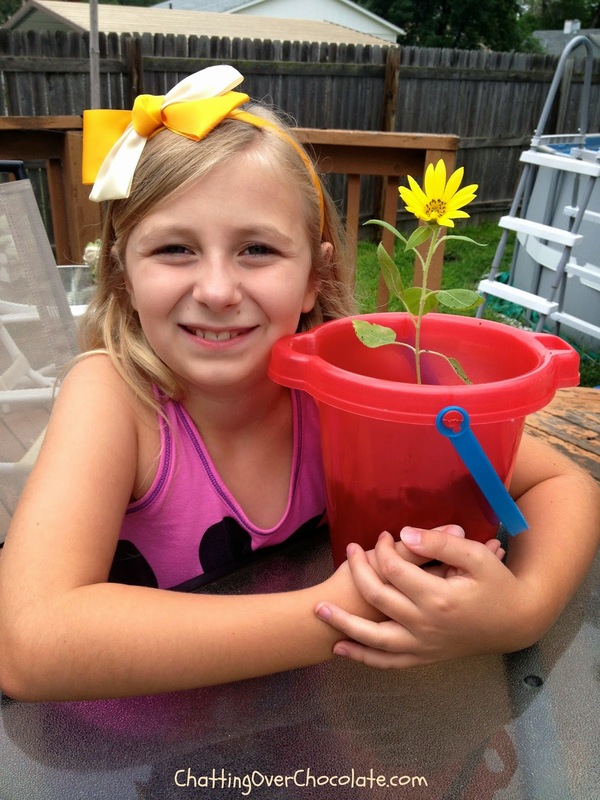 So, we turned her sand pail into a flower pot! Summertime is so sweet! Thanks so much for stopping by! Have a terrific upcoming weekend! I can't wait to check out your youtube videos! My daughter is obsessed with Mickey and I can't wait to take her to Disney someday! Guardians of the Galaxy was hilarious. I particularly thought the songs were perfection. I made a playlist and Aria and I have been dancing around to them for the past few days. So much so I brought it into the bathroom so we could listen during bath time. The baby groot dance was my fave. I think Marvel is doing a great job on these interwoven super hero movies. Chris got a copy of the new Capt America so we could watch it, because we missed it in theaters. Oh thanks for the vid reminder! We'll have to catch up, I think we are a couple behind now. All done! Sad! Cousin time was always the best growing up. I wish we were closer to Aria's cousins so she would have that too, but they are mostly in PA/Maryland. Good think our friends finally got on the baby train and we've got three in various stages of in the making. So that will be lots of fun soon. I hope Aria is as curious and driven as your youngest! I always liked the idea of theme weeks or months and learning about something from all different angles. It is so fun watching the learn something. Yellow flowers are so happy! I've always enjoyed a beautiful sunflower. Aww I just love that you got a whole day for a date! That's awesome! I haven't even heard of that movie :-p I'm so under a rock though when it comes to movies. Haha! Love the little flower that your daughter put in the pot and kept :) That's precious! And I need to check out the movie! Have a fabulous weekend, Brenda! I can't wait to see Guardians of the Galaxy! I've heard so many good things about it and your post was just the icing on the cake for me to go see it. 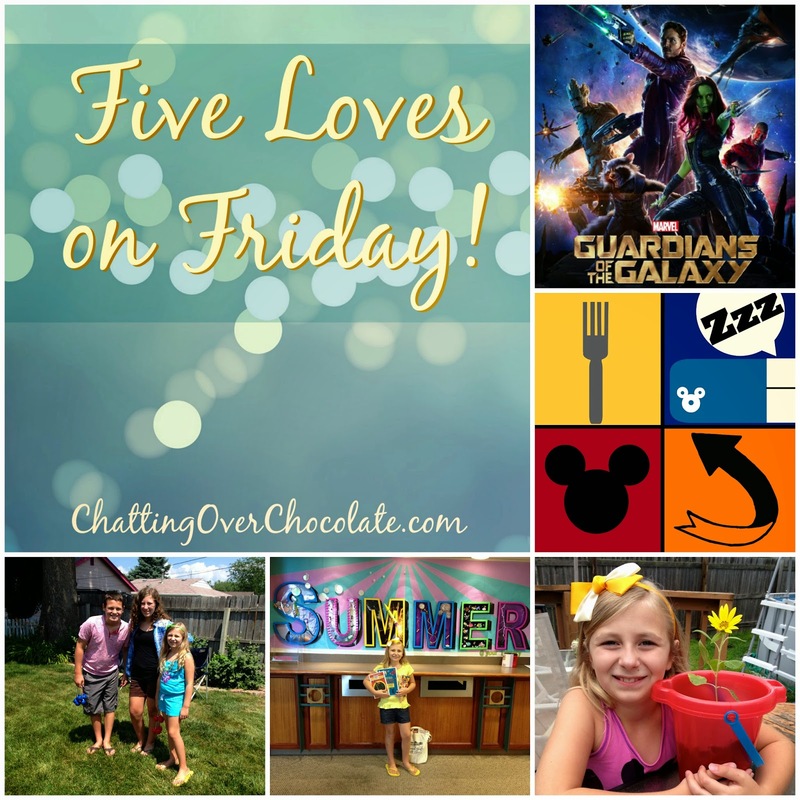 Another great week for you and the family! After you told me about how you checked out some stuff at your library, I'm considering getting a library card for my local library (is that how they still do it? library cards? it's been FOREVER since I've had one. 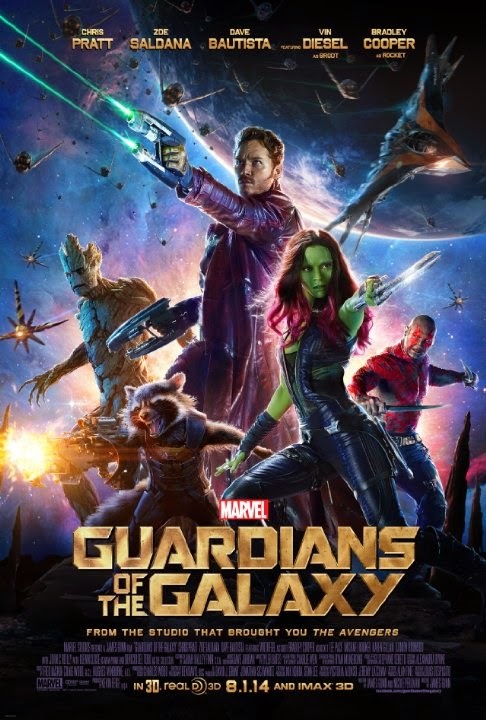 lol) And for some reason, I can't get into superhero movies, but after hearing your review of Guardians of the Galaxy & a few other friends' reviews, I'm thinking I want to see it! I like Chris Platt - he's funny in Parks & Recreation. How fantastic that the Disney videos are complete - what a great keepsake! I used to love library visits with my mom when I was little (and it must have stuck, since I still love libraries and just visited one earlier today) - can't believe you found such a perfect book to combine her latest interests with crafting, how fun!